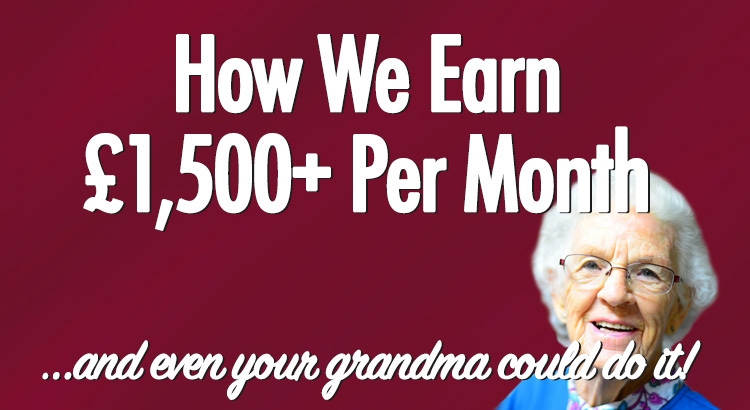 Learn the exact process we use to earn thousands. Since starting matched betting, we've made over £1,000 profit in every single month - and much more the majority of the time. This includes the very first month we started. We went into it as total beginners and had to learn the entire process. Fortunately, we realised it's actually incredibly easy to pick up - even though it seems complex at first. A lot has changed since we began a few years ago. And we've learned a lot along the way. These days, we spend just as much time teaching matched betting (for free!) as we do matched betting ourselves. This is because you can only really spend 2-3 hours a day matched betting at most - even if you wanted to spend more! Needless to say, this gives us a lot of free time. We no longer work in a traditional job - we live in the world of matched betting now; doing it for ourself and teaching others to do the same. Whether it's a solid second (tax-free) income or even a primary income that you're after, there's guaranteed to be lessons you can learn from us. So, how do we actually earn so much money by doing this? The beginner course is so well put together that they probably deserve to write their own testimonials for it! Alternatively, we can send you the free beginner course (aimed at UK residents) right away. Send Me The Beginner Course! If you already understand the basics and want to know exactly how we earn £1,500 every month, keep reading. It seems like a mammoth task to earn £1,500 in pure profit every month from matched betting. After all, offers are often be worth £20, £10, or maybe even less. It seems a daunting task to achieve such a large profit from promotions that are worth relatively little. £1,500 a month, over the course of a year, works out to just £49.32 a day​. ...Even though the overall target has not changed. ​So, with that in mind, all we need to do is hit this figure of below £50 in profit each day. Oddsmonkey's daily offers are typically worth anywhere between £5 per day and £50 per day. Some days, on peak weekends of the football or horse racing season, there's well above £100 in value to take each day. For the purpose of this breakdown, we'll say they're worth just £10 a day (in reality, they are worth much more on average). When you're starting out, you'll have a LOT of sign-up offers to do. ​In fact, these should be worth £30 a day on their own - comfortably. However, because sign-up offers only occur mainly at the start, we're going to ignore them completely in this breakdown. This means we're currently still at a figure of £10 a day - even though the figure is much higher in reality. Sure, you'll get new bookmakers appear and new offers appear alongside them, but we'll just call those a bonus! Reloads refer to the offers that are sent to your inbox by bookmakers that you've already joined. These won't usually be posted anywhere online, because they tend to be invite-only. However, this isn't true all of the time. ​You'll receive a few offers direct to your email address, or even via text message, and they're normally quite valuable each week. Some sites do infrequent £50 or even £100 offers, whereas others do more regular £10-£30 promotions. These offers easily account for more than £10 a day on average, but we'll track it at that figure because you will of course not be able to bet on every email promotion on every day of the year - you've got a life to live too! That means we're up to £20 of our target of £49 and change. In these offers, we are relying on a tiny bit of luck with our massively +EV (Expected Value) bets on 'trigger' offers. There are a huge number of different offers that fall into this category. As we just said, there are a lot of these with a large number of variations too. Far too many to list in one place. ​Some offers are even worth an unlimited amount of money. With large enough stakes, there's nothing stopping us from earning thousands of pounds per bet on certain bookmaker bonuses. However, we appreciate that the majority of matched bettors do not have big enough bankrolls to invest hundreds of pounds into each bet. We will therefore assume that we hit a reasonable number of five trigger offers per week at £20 on average, and that ​we will hit one 'big' win for £100 profit overall in the month - a target that should be achievable by all matched bettors. The £20 triggers will be worth around £16 each in risk-free guaranteed profit, which works out to £80 per week on average and gives us £11.40 towards our daily total. Factoring in the monthly big win adds a further £3.29 to our daily total, bringing our running total to £34.69. Accas are typically worth around 20% in profit when compared to the value of your stake. So, on a £10 acca we'd usually make around £2, and on a £50 acca we'd make £10. Some people absolutely smash their profit targets by just piling on accumulators each day - there's nothing too wrong with this approach, but we don't want to cheat our way to our profit target in this post. It is easy enough to average one accumulator per day - especially as it's completely common to have multiple running each weekend. Stakes will vary, but the average will probably come in at around £30. 20% profit on a £30 acca is £6, so that's a further £6 to our daily target - we're now up to £40.69. To make profiting on accas easy, use the Acca Finder﻿ on ﻿Oddsmonkey. We can easily pull in £100+ once a week if we're fortunate enough with extra place races. However, as we've been intentionally pessimistic with our estimations in this post to emphasise how easy it is, we'll say that we only hit one extra place in the entire month, for £100 overall profit when factoring in all other qualifying losses. If you weren't already aware - we actually cover the entire field of horses, meaning it's impossible to not hit the extra place. (See: video explanation). £100 per month works out to £3.29 per day on average. Our total is now up to ​£43.98. Growing in popularity, bookmaker loyalty schemes offer you a small reward each week in exchange for betting a small amount. Typically, you'll need to bet around £25 in order to receive a £5 free bet per week. There are probably four or five bookmakers running a loyalty scheme like this at the moment, but to account for changes in promotions or gubbings, we'll call it three. Three £5 free bets is worth around £12 in risk-free profit to us in a week, so £1.71 profit per day on average. With risk-free casino offers, we never have to contribute a penny of our own money towards them. With low-risk offers, we're typically only risking £5-£10 of our own money in realistic losses. Every time you do one of these offers, you're usually picking up between £2-£10 in EV. There is still also a chance that you win hundreds or even thousands of pounds in one go! Again, for the purpose of being pessimistic, let's say you do 3 of these offers a week for an average EV of £4. This again works out to £1.71 profit, and takes our running total to £47.40. That's right - it's not just the bookies that will send stuff to you. If you'd like us to, we can send you tips and strategies straight to your email address - and we don't share this exclusive content here on the site. Above, we aren't trying to show you how much work there is to put in - because that simply isn't true. Like we said at the start of the post, you can typically only matched bet for 2-3 hours a day at most - so much fewer hours than a full-time job! And you can absolutely earn a great amount even with just an hour a day. The offers above are just the tip of the iceberg, and the profit totals that we've included are massively underestimated. We don't want to blow our own trumpets here (well, not too much anyway) but we'd estimate that our tips are worth thousands of pounds each year to our subscribers. Let's take a low estimate on our tips being worth 'thousands of pounds each year', and say they're worth just £1,000 instead. This works out to £2.73, and brings us through the £50-a-day profit barrier required for a £1,500+ a month. The strategies listed throughout this post can be rinsed and repeated every single month. We've not even talked about a whole range of other potential sources of profit - each way arbs, dutching, trading, high-risk casino and more. 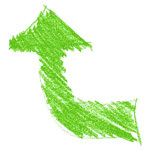 There are ways to further squeeze further profit out as well as many other ways to receive bonuses. On top of all of the above, we also have our own strategy called the Fortuneteller betting strategy for people with larger (£3,000+) bankrolls. 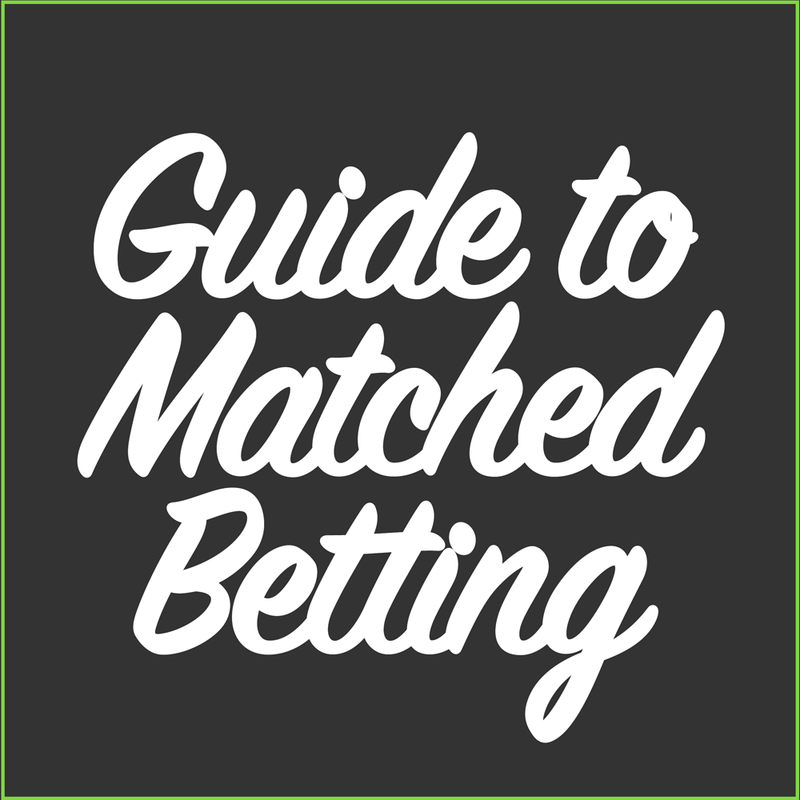 This is something that will contribute additional profits on top of your regular matched betting profits. For people running this system, you can realistically expect to earn anywhere between £1.33 (as a new starter) and £20.83 (as an intermediate level Fortuneteller user) per day. Advanced users can potentially exceed £70 per day with this approach. The earnings can be significant. Why not read about the month we made £6,660.44 profit?